There are times when beautiful things come along. And when they do, one takes notice. Romance Journal is just that. A large format publication that is as beautiful outside as it is inside. 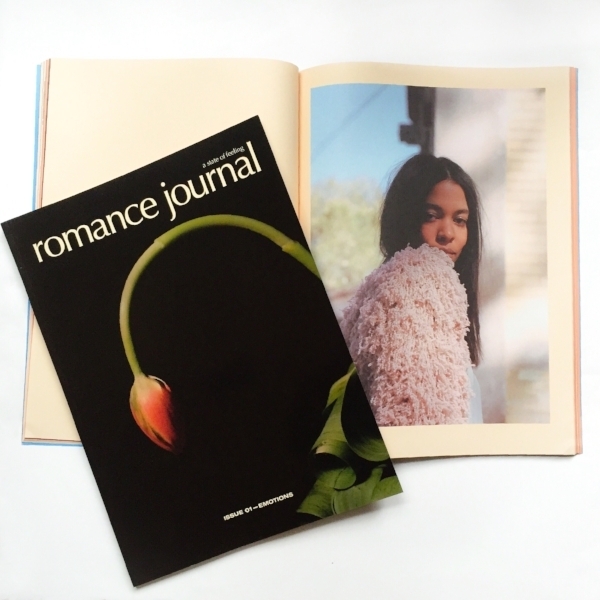 Romance Journal is devoted to exploring truth and raising our collective consciousness. In the midst of personal trials and global challenges each issue, based on a theme, will explore human experiences through the eyes of 10 powerful, thoughtful, and creative women awakening to their life’s purpose. Issue 1-Emotions, explores the role of emotion in life and work through the lens of some of the most compelling—and professionally successful—creative women of today. In opening up about their complex emotional lives, in some cases for the first time, these women paradoxically reveal a considerable strength. Featuring Georgia Greville. Aurora James, Lisa Overduin, Norma Kamali, Rachel Comey, and Sophie Buhai, Christine Barberich, Caroline Polachek, Jessica Koslow, Janicza Bravo. Now available at Field Trip.